While we never see the Rebels using the AT-RT in the classic trilogy of Star Wars films, it was a piece of equipment that they could've possibly picked up, as we see Clone Troopers using them in the prequel trilogy. Not as heavily armed or armored as the AT-ST, the vehicle still gave some added protection to its rider, as well as some powerful weapons that a regular soldier wouldn't've been able to carry on their own. They'll be making their way to Star Wars: Legion, and Fantasy Flight is giving you a preview. The All Terrain Recon Transport, or AT-RT, was a common sight on the battlefields of the Clone Wars, piloted by Republic clone troopers and used in ground support, civil defense, and post-battle cleanup ops. By the time of the Galactic Civil War, the Empire has moved beyond the AT-RT—but the Rebel Alliance will take any advantage they can get, including salvaging and refitting these old walkers. Soon, you’ll be able to bring them to your own battles! 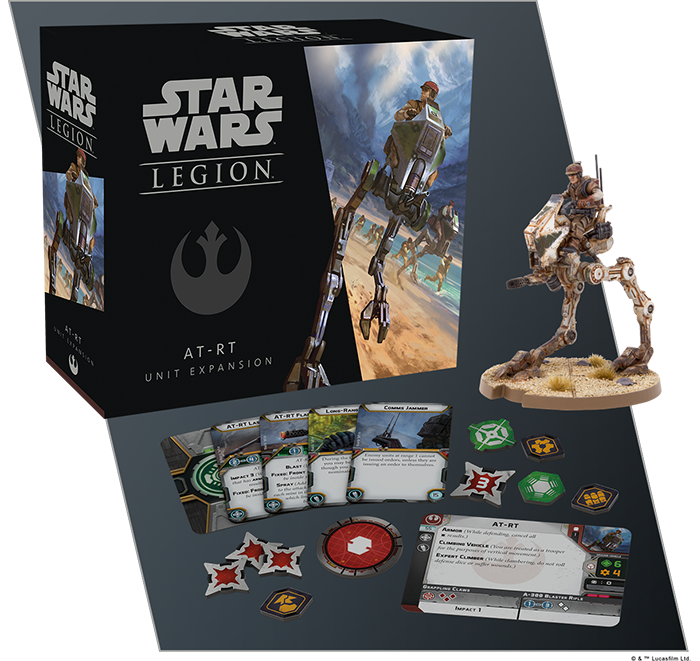 Within the AT-RT Unit Expansion for Star Wars™: Legion, you’ll find a finely sculpted, unpainted AT-RT. This easily assembled miniature offers a different sculpt from the AT-RT found in the Star Wars: Legion Core Set, along with three different weapons modifications that alter your AT-RT miniature to match the upgrades you’ve equipped. With unit cards and new upgrade cards to outfit your army, the AT-RT Unit Expansion has everything you need to expand your army. 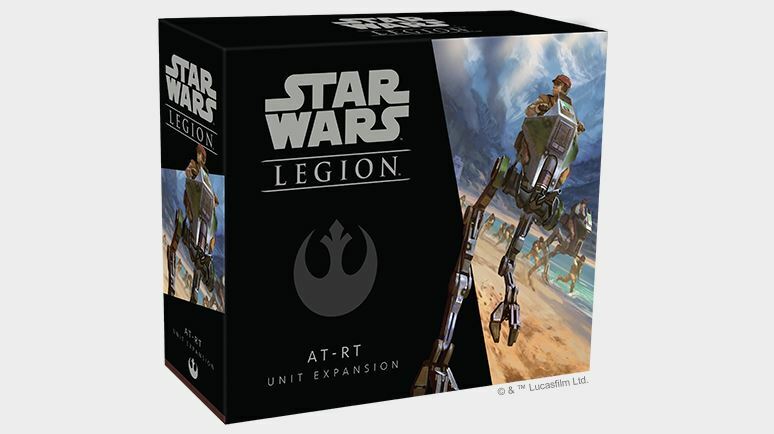 The AT-RT Unit Expansion will be released on March 22nd, alongside seven other expansions and the Star Wars: Legion Core Set, so you can start building your armies from the very first day! You can pre-order your copies of the AT-RT Unit Expansion at your local retailer or online through our webstore today; then, read on for a preview of what you’ll find within!